Support the community while shopping in Downtown Sioux Falls this holiday season! 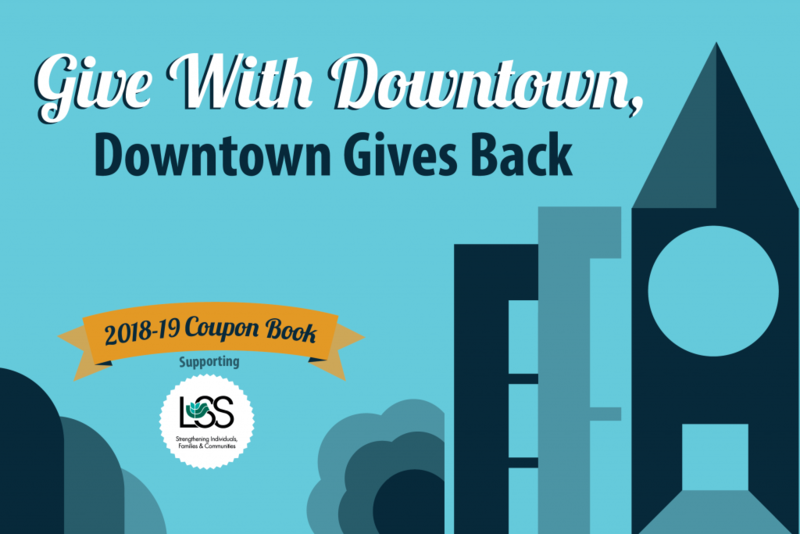 For just $15 (plus tax) you will receive a variety of coupons from 27 participating DTSF member businesses! Visit any participating location to purchase a coupon book beginning on November 2 – December 31st, 2018. If you purchase a coupon book on or before December 19, 2018*, you will also be able to register to win $200 in gift cards! Don’t miss out on these great deals and the opportunity to help raise funds for a wonderful program.